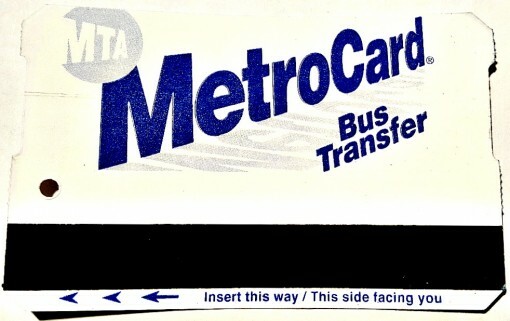 Whenever possible I plan my trip in a way that allows me to do what I need to maximize my $2.75 Metrocard fare. That means using my transfer within two hours of the start of my trip. Running an errand. Going to the gym. Buying groceries. Going to lunch. If it’s something I can get done within the MTA transfer time (including transit time to get there), I’ll do my damnedest to make sure I get my free transfer dammit. 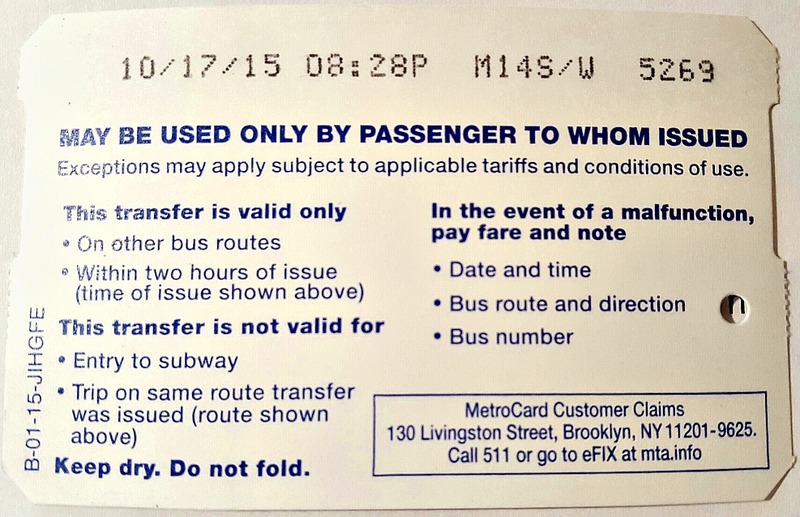 For regular Metrocards (not unlimited or passes), the “no transfers to the bus route on which you started” rule really cost me. I don’t know how much money I wasted thinking that I could use my transfer on the same bus route before finally figuring out that a transfer won’t work on the same bus route (e.g. M14D to M14D) — no matter if your transfer is going the opposite direction in which you started your trip. MAY BE USED ONLY BY PASSENGER TO WHOM ISSUED. Exceptions may apply subject to applicable tariffs and conditions of use. Keep dry. Do not fold. Welp another thing I noticed, can’t use it when going on a similar bus route? Took Q53 one way, tried taking Q52 the opposite way. Didn’t work.